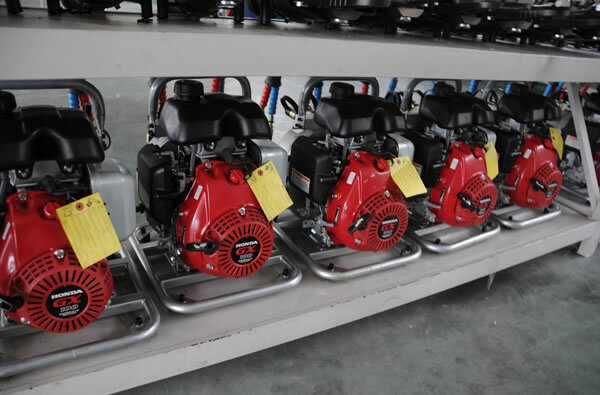 The double phases motor pump of our company has two-stage outputs with the radial piston pump and Japanese Honda gasoline engine as power source. 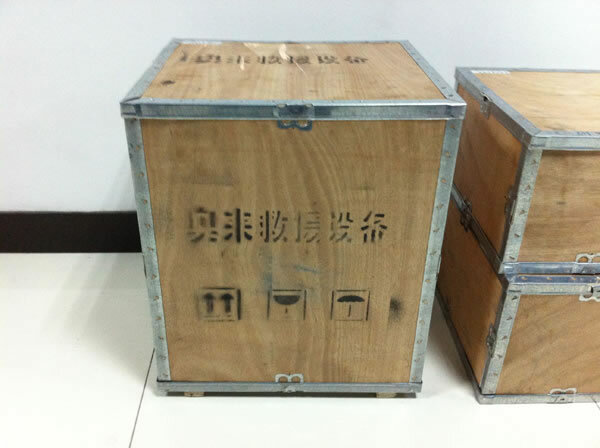 It can achieve automatic transformation between high and low pressure according to the changes of external loads. 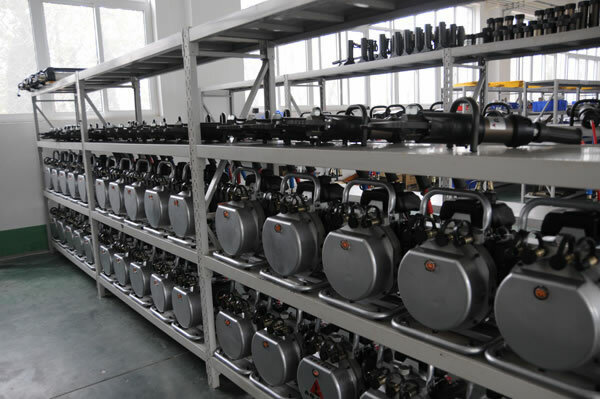 The double phases motor pump of our company has two independent sets of pump plungers and control systems, which can power two rescue tools at the same time or one rescue tool independently. 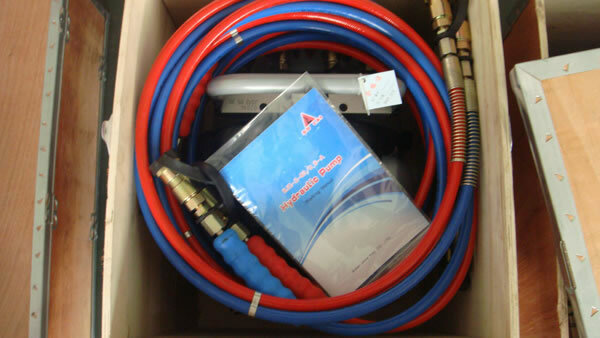 By using the aviation hydraulic fluid, it can work reliably with the temperature of -30℃ to 55℃. 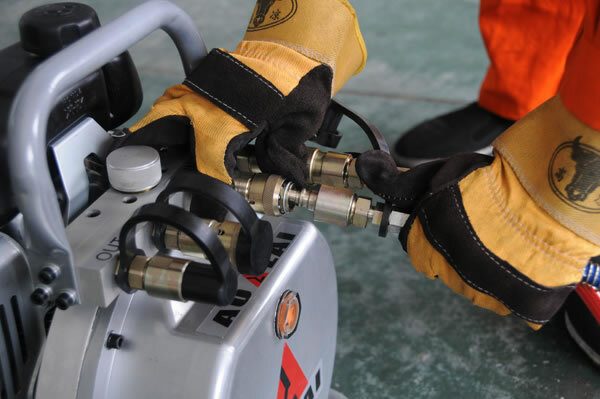 With the advantage of working continuously for long time without preparation time, it can also be moved with the connected rescue tool together while keeping the connection status with low noise. So this kind of double phases motor pump is easy to operate and works reliably, which can greatly improve the rescue efficiency. 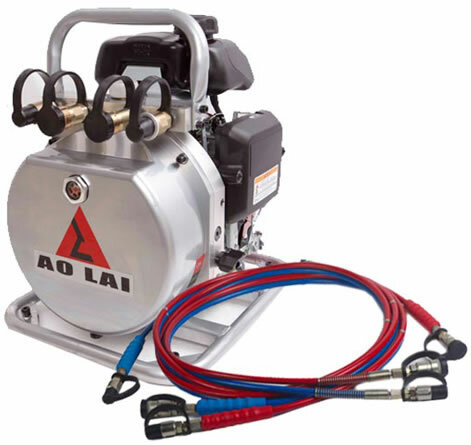 When the double phases motor pump works with low pressure, the output flow is large, then the connected rescue tool can move fast without load to save rescue time. 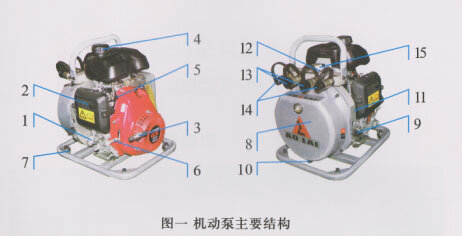 If the connected rescue tool works with load, the double phases motor pump would output the high pressure automatically. 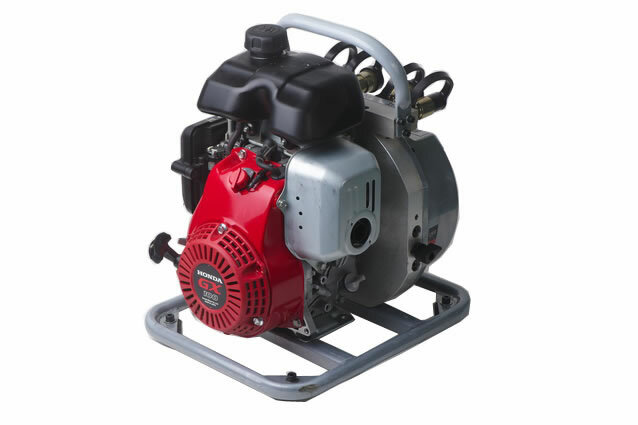 The double phases motor pump is mainly used with the special dismantling rescue tools and has been the ideal power source for the rescue equipment for its compacted structure, light weight, convenient operation, portability, fine configuration design but quick connection with the rescue tool and good cooling conditions of the engine. It has been widely used in the rescue not only for traffic accident, earthquake, and unexpected disaster but also in the area with complicated terrain or difficult to enter. Application 1. Function: The hydraulic pump is the main power unit for professional hydraulic rescue equipment. 2. 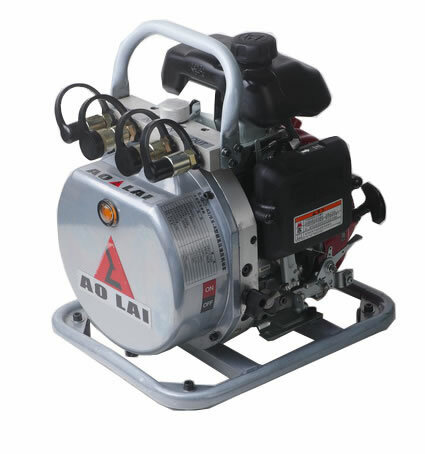 Application: The hydraulic pump has a wide application scope and is mainly applied into the rescuing operations for the highway or railway accident, air crash, shipwreck and collapsed building. Features 1. Compact structure, high mobility and light weight. 2. 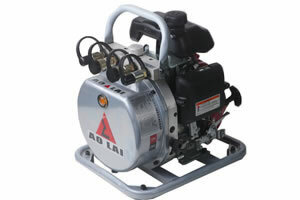 The hydraulic pump has two-stage pressure outputs and could drive two sets of rescue tools at the same time. 3. It could automatically alternate between the high output and low output pressure, which speeds up the rescue process. 4. 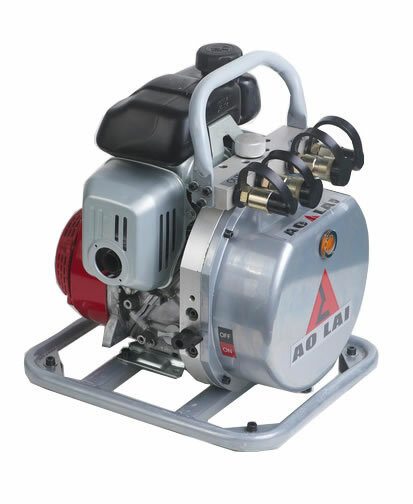 This pump can work immediately without the preparing time and keep connected with the tools. Its cooling time is short.